RaPET Chromatography Software is the ideal data analysis and evaluation software for your analytical equipment. It has been specifically configured to work with Eckert & Ziegler Radiopharma quality control equipment. RaPET Chromatography Software is a comprehensive chromatography data collection and evaluation package specifically configured to work with Eckert & Ziegler Radiopharma radiochromatography products, such as TLC-Scan, Flow-Count or Modular-Lab HPLC. RaPET Evaluation Software is part of the RaPET Chromatography software package. Researchers and production personnel can adjust methods, set up sample runs and view data collection in real time. RaPET Chromatography Software is designed to work with radioactivity measurements in HPLC and TLC systems and has features such as half-life corrections for chromatography with short-lived isotopes, background correction, multi peak fitting and full GMP and 21 CFR Part 11 compliance for electronic signatures. The software features include real-time data display, auto-scaling, and GMP database with batch reporting and data export. Data export functions link RaPET Chromatography Software data to other applications including word processing and spreadsheet analysis. The software can be used in all regulated environments for full cGMP, GLP and 21 CFR Part 11 compliance including audit trails. An interface box (IFB) is partly included to link the computer and radiation detection device via a USB interface. The box receives pulse outputs from the detector, then counts and digitizes them. Connection for a start/stop signal is also included. RaPET Software for radiochromatography data acquisition and analysis of radio-HPLC, TLC, UV and other detectors is available for Flow-Count, Mini-Scan, PET Metabolite, Modular-Lab Analytical HPLC, TLC-Scan and HPLC-Scan. 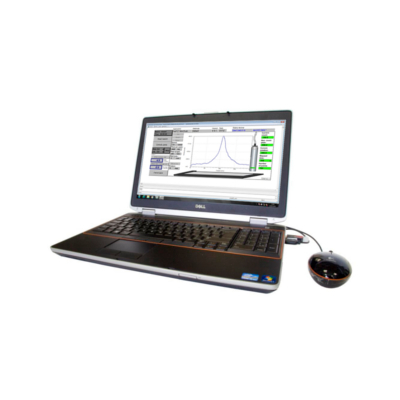 RaPET Evaluation Software offers an intuitive range of tools for chromatogram evaluation. Many of these tools have been designed for use with specific applications such as radio-TLC of FDG samples. Backgrounds can be accurately defined and subtracted. For work with short-lived radioisotopes RaPET Evaluation Software can automatically correct for radioactive decay. RaPET Chromatography Software comes with full audit trail functions for regulatory compliance. Audit events are selectable at the system level to allow individual clients to define the key critical data modification points that require an audit record.